Behind the greenhouses in the Experimental Grounds is a patch of mostly bare ground that has clearly been well-trodden by naturalists over the past year or so. It’s the site where mousetail was rediscovered on campus last spring, and perhaps thanks to experimental cultivation in the past is home to an interesting assemblage of other arable weeds as well. Or at least it was. Unfortunately, recent building works have necessitated the passage of heavy machinery over part of the patch, so for the moment it is an unrecognizable mud-bath. That said, a bit of robust disturbance might perpetuate the existence of early-successional vegetation on the patch and ensure that some other goodies turn up in the near future once construction is complete. On a visit to the patch last July I kept spotting ground beetles moving across the bare, sunbaked soil, and I subsequently dug in a couple of pitfall traps to see if anything interesting was living alongside mousetail et al. The resulting catch was until recently mostly un-inspected; however, a trip on Saturday to the annual BENHS Carabidae identification workshop provided the appropriate motivation to fish them out. Dyschirius thoracicus by Udo Schmidt on Flickr (CC BY-SA 2.0). NB not a campus species, Dyschirius politus is similar in general appearance but slightly more elongate. With quite a few interesting finds from just a handful of pitfall traps on a few square meters of campus, I think it is fair to say that much of the campus ground beetle fauna still awaits discovery. So far we have found only 40 of the 365 British species. If anybody is interested in having a go, feel free to come and see me or Graham Holloway and we can set you up with equipment and lab space to get you started – see below for suggested identification resources. 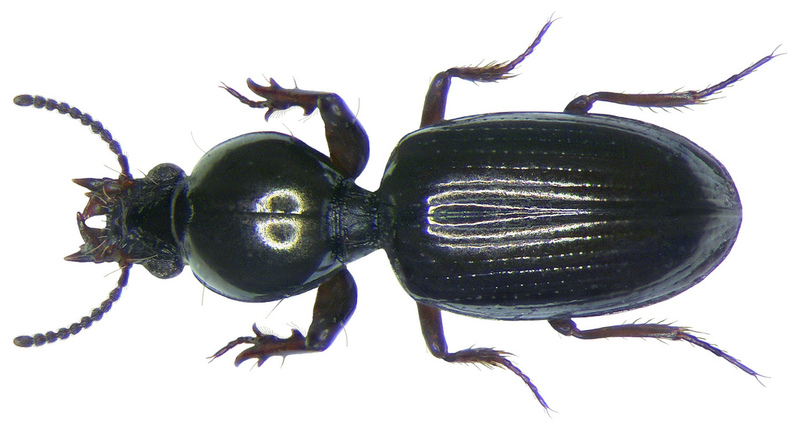 All hyperlinks on species names will take you to a high-resolution image on the incomparably brilliant Eurocarabidae website. In order to view the images you will need to register (free) and be logged in. All of the images used in this post are from Udo Schmidt on Flickr. *Brian Eversham has pointed out to us on Twitter that Dyschirius politus is as much an insect of dry as it is wet sites e.g. in limestone quarries and on sandy ground. Bembidion tetracolum turns up on farmland (you could see the greenhouse patch as a kind of miniature expanse of ‘farmland’ given its history). 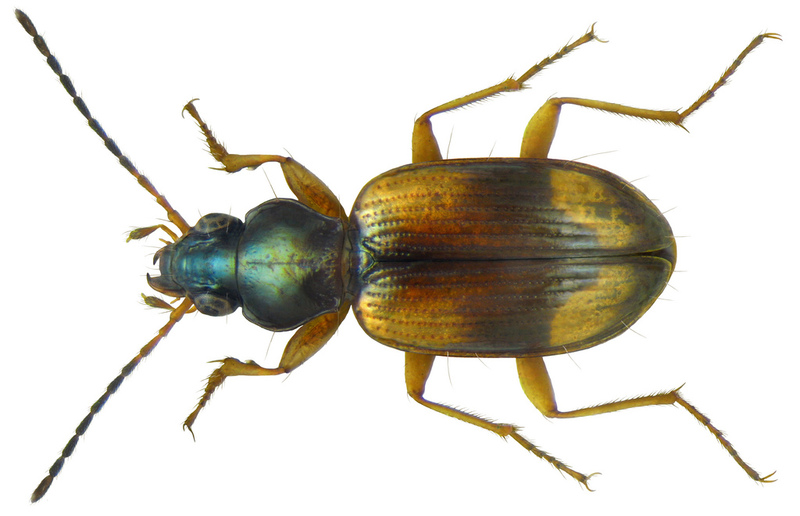 Martin Luff’s Royal Entomology Society handbook is now the standard work for identifying British ground beetles, best used in conjunction with the extensive supporting notes available on Mark Telfer’s website. Mark Telfer and John Walters have also been making available a superb set of downloadable field guides to the various carabid genera. 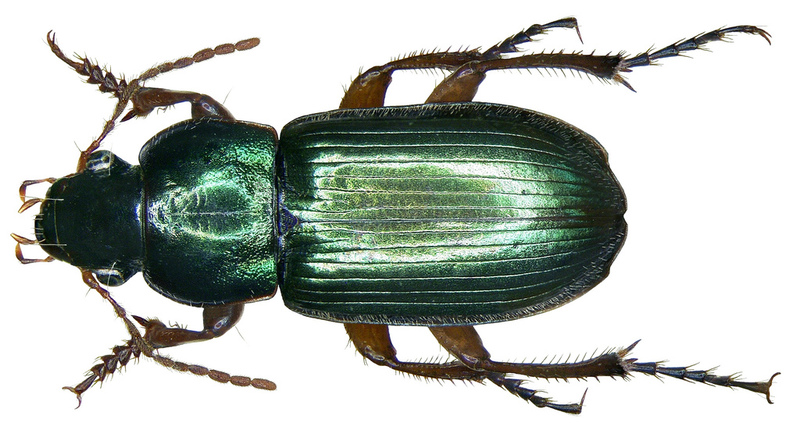 This entry was posted in Animals, Beetles, Insects and tagged Beetles, biodiversity, Carabidae, Ground Beetles, whiteknights. Bookmark the permalink. I seem to remember I found it in the grassland on the eastern side of the narow part of large lake.